My husband and I had a wonderful day Smallmouth Bass fishing with Rich on the Penobscot River. He even had the patience to teach me how to fly fish though I still need lots of practice:-). As a school teacher I know how difficult it can be to teach a new concept and Rich has the patience and knowledge to assure a memorable experience!! He has EVERYTHING needed for a great day of fishing. We both highly recommend a day with Rich! I would like to say without a doubt a wonderful smallmouth bass fishing trip,Don and I were very pleased with the entire day, and look forward to doing one of your other fishing trips. I really enjoyed my day of turkey hunting with Rich. He went above and beyond to see that I had fun. And fun it was. Rich loves what he does, and it shows. Looking forward to our fishing trip with you! We had a great day on the water with Rich and the smallmouth fishing was excellent! Rich had all the right equipment, was very knowledgeable, and he kept us in the action all day long. 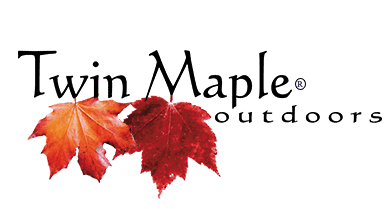 I would highly recommend Twin Maples - thank you Rich for a great experience!